Licensing is a very effective way to enable multiple parties to make commercial use of intellectual property (IP) such as training materials, consultancy products, software and brands. A fee is paid to the owner. 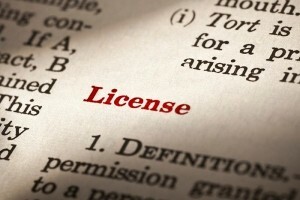 What do you get when you buy a commercial licence*? When you buy a licence you normally get more than just the basic permission to do something. You also obtain some level of capability. So, for example, if you are licensed to brew a drink you might expect to receive details of the recipe and a copy of any brand images. If you are licensed to use software you might expect to download the software from the internet or install it off a CD, and when you do so you might use a licence string which is a code that the licensor only issues to licensees. Note that somewhere within the process the licensor and licensee will enter into a contractual agreement normally, for obvious reasons, called the licence agreement. The licensor may also provide other things as part of the sale of the licence or as extras. These include such things as technical support. The licensor may also place restrictions on the licence such as restricting use to individuals who have been trained and certified by the licensor. In some case Certified Practitioners may be the only people allowed to deliver a particular licensed service or allowed to support a particular product. In essence licensing provides a way of selling more of your expertise or your product by allowing other people to deliver your product or service on your behalf. In most cases, a licence dictates the form that delivery takes, but does not otherwise restrict the way the licensees runs their busineses - how they market the service or product, how they charge for it or how the rest of the business is to be run. Franchising, on the other hand, is a way of building a channel for your products and/or services by selling a fully packaged and defined business that is built around that product or service. A franchise licence does dictate exactly how the franchisee runs the business - how they market the product or service, how they deliver it, how much they charge for it and how the business itself is to be run. Of course, at the heart of many franchises, lies a licence, which is why this distinction can be confusing. Earn money while you sleep - licensing allows you, a specialist sole trader to be in more than one place at once, earning money in each of them. A licence is easier to set up than a franchise, since it does not involve packaging an entire business around the product or service in question. A licence can evolve into a franchise in due course, so it can be a good first step towards a fully packaged franchise. * Note that there are variations in spelling which we often get asked about. In England the common forms are "to license" and "a licence" whereas in the USA "license" is often used instead of "licence".